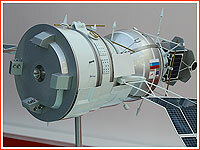 During the development of the Soyuz-1 launch vehicle (later Soyuz-2-1v), TsSKB Progress in Samara proposed to equip the future rocket with a Volga upper stage, identified in official documentation as "block vyvedeniya" (insertion stage) abbreviated as BO and also designated 141KS or 14S46. Serving as a third stage of Soyuz-1, the Volga would deliver a payload with a mass up to 1,400 kilograms into final orbit with an altitude of up to 1,500 kilometers during its mission lasting no more than 24 hours. 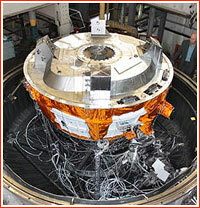 Particularly, it was designed to insert satellites into Sun-synchronous orbits with an altitude of 850 kilometers, following launches from Plesetsk and Baikonur. Based on a propulsion module of existing satellites such as Kometa previously developed at TsSKB Progress, Volga was promised to have a price tag as much as four times lower than that of the Fregat stage. A standard part of the Soyuz-1 rocket, Volga could also fly on the Soyuz-2-1a rocket, replacing Fregat in up to half of expected missions. TsSKB Progress started the development of the Volga stage in 2008, using its internal funds. The preliminary design for the vehicle was defended in 2010. An internal surface of the payload fairing would be covered with the foam polyurethane with a thickness of no less than 20 millimeters. The typical orbit-insertion mission for Volga stage was expected to last no more than 60-120 minutes, which would be enough to release a single or multiple spacecraft into their final orbits. The stage would be responsible for the attitude control of the payload section during both coasting and powered flight. 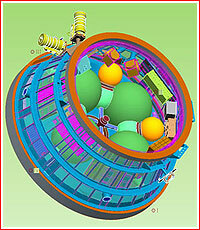 If necessary, Volga could provide spinning of the payload section. Some 24 hours after a liftoff, Volga could deorbit itself or go to a safe distance from a released satellite. A single experimental prototype of the Volga stage was customized for three types of tests in the course of the vehicle's development. The Volga stage was flight-proven during an inaugural launch of the Soyuz-2-1v rocket on Dec. 28, 2013. Volga seemingly performed well during the launch of the same rocket in December 2015, however, the Kanopus-ST satellite failed to separate. Volga was also slated to fly on the Soyuz-2-1a rocket during the first launch from Vostochny in 2016. As of beginning of 2016, RKTs Progress had orders for five Volga stages.